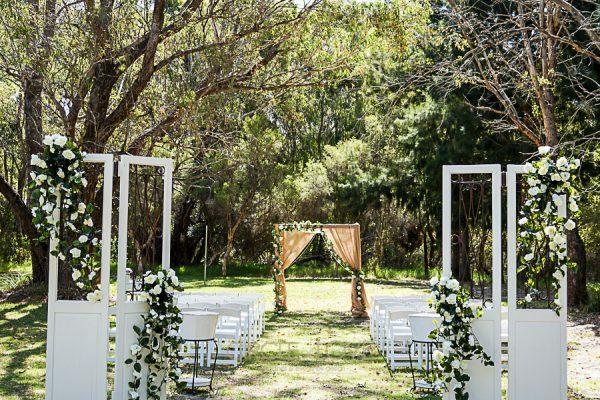 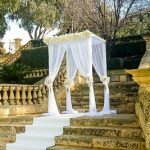 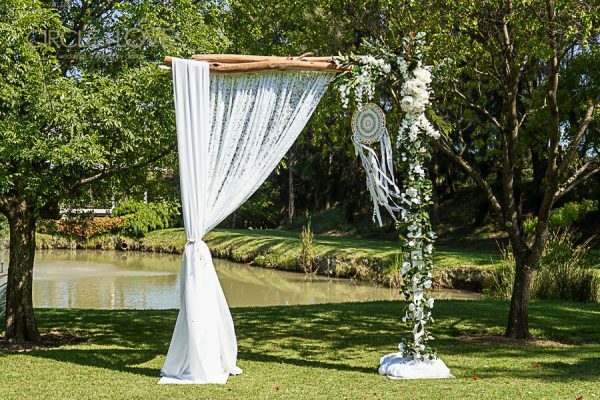 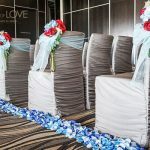 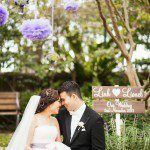 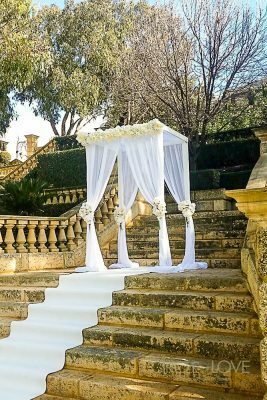 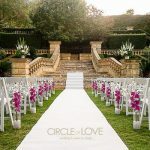 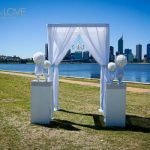 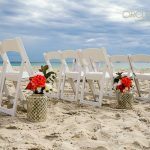 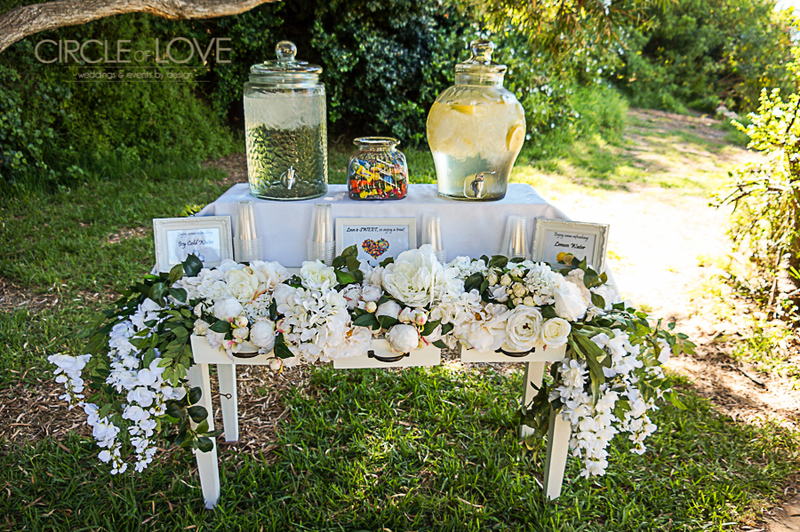 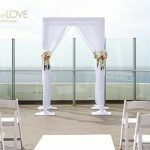 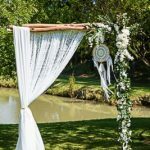 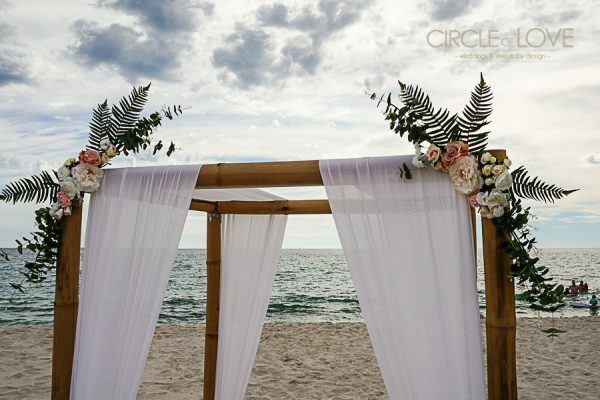 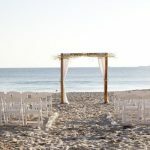 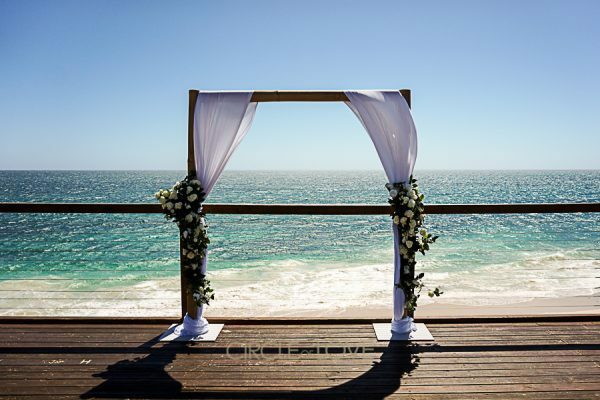 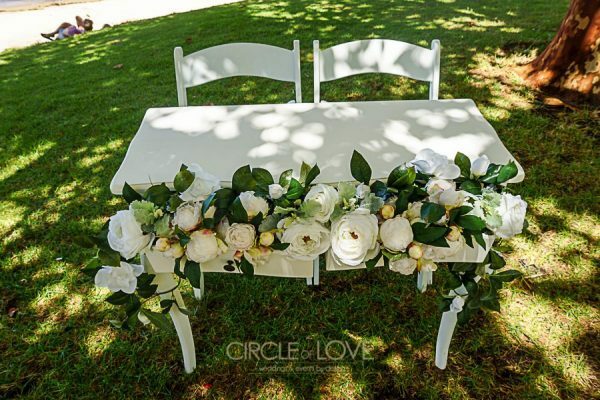 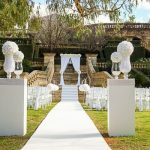 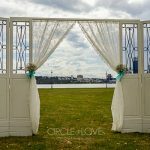 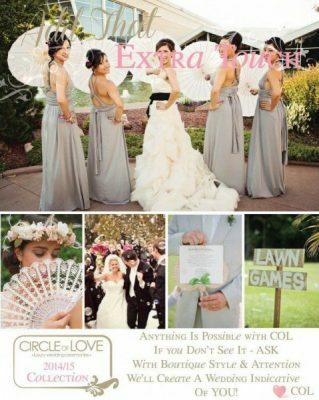 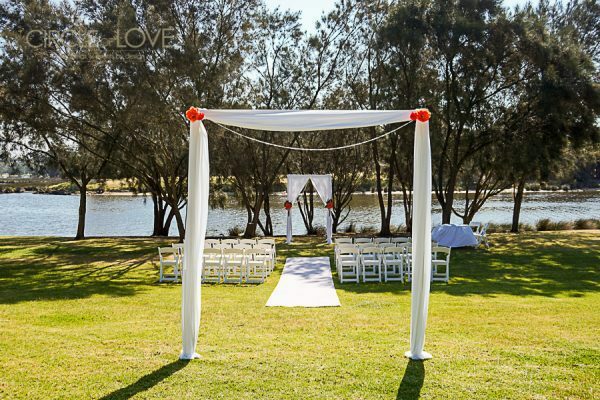 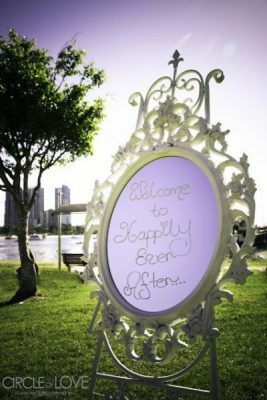 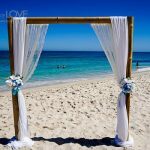 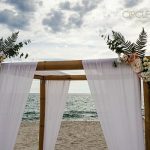 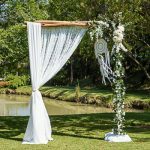 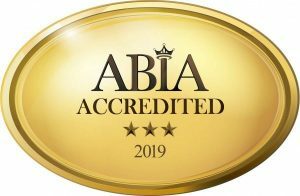 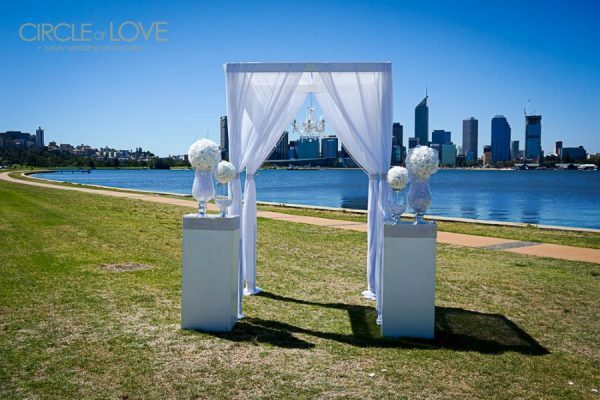 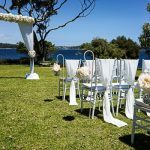 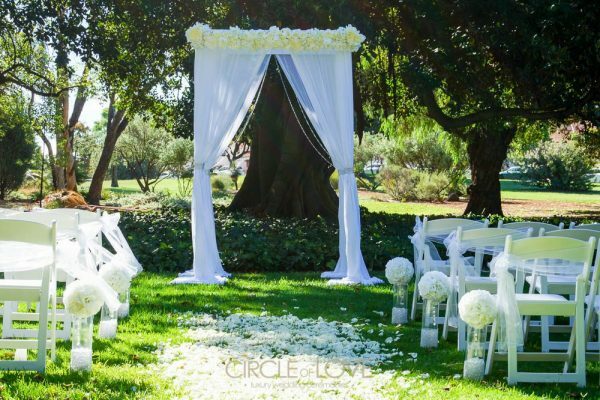 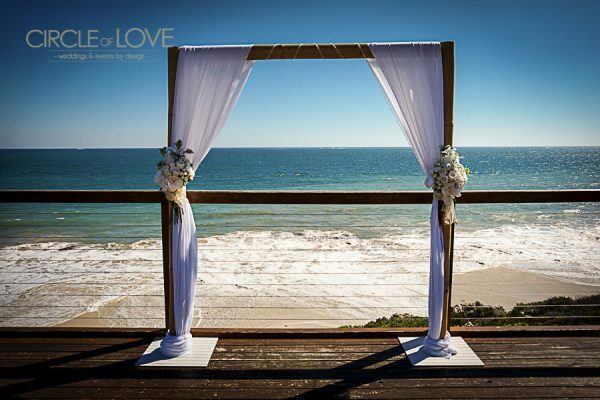 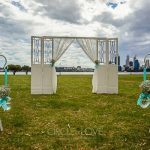 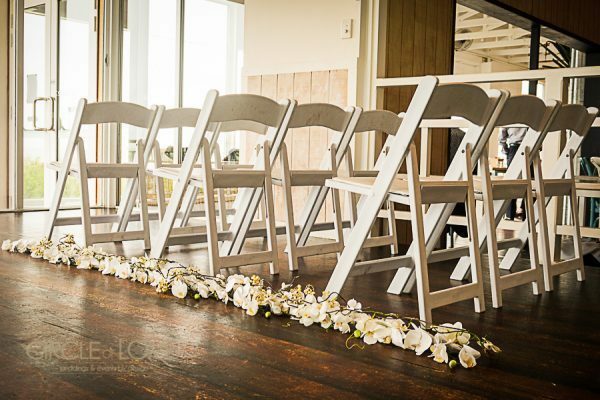 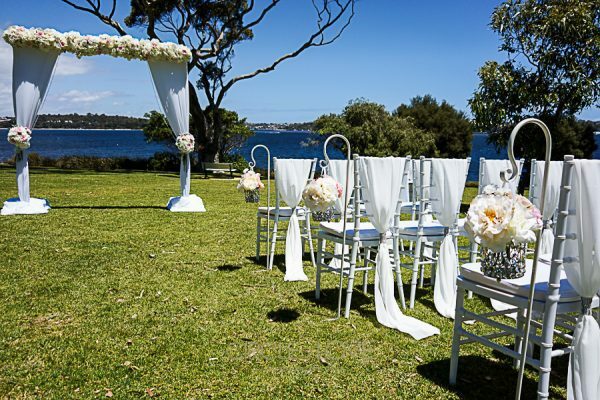 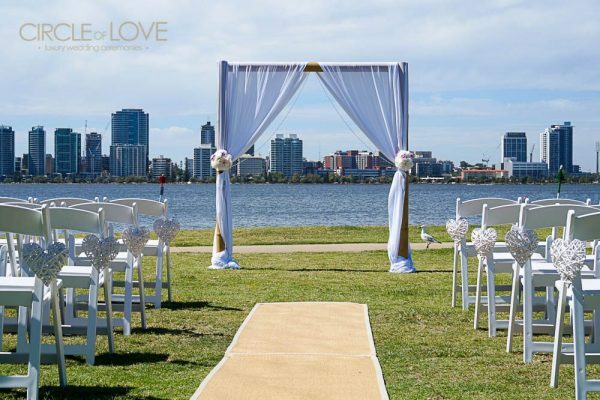 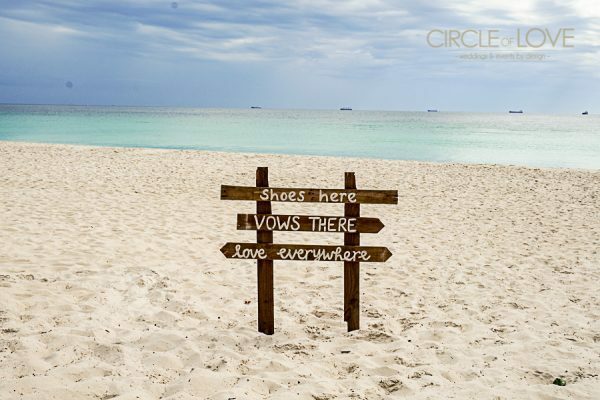 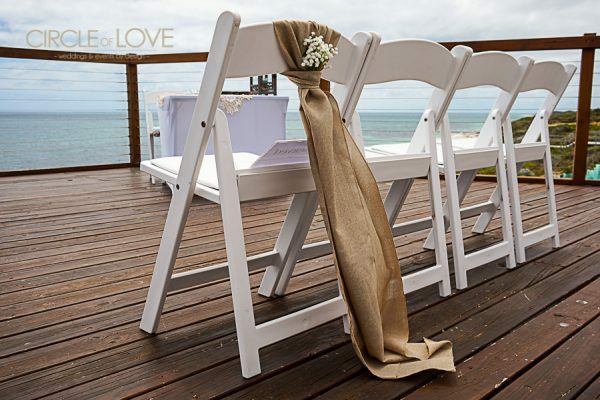 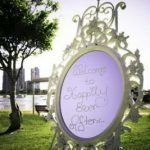 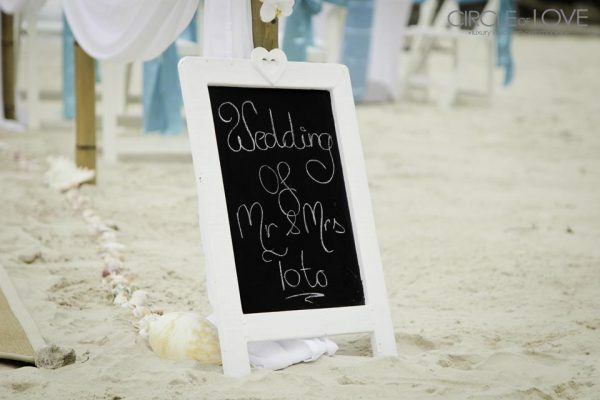 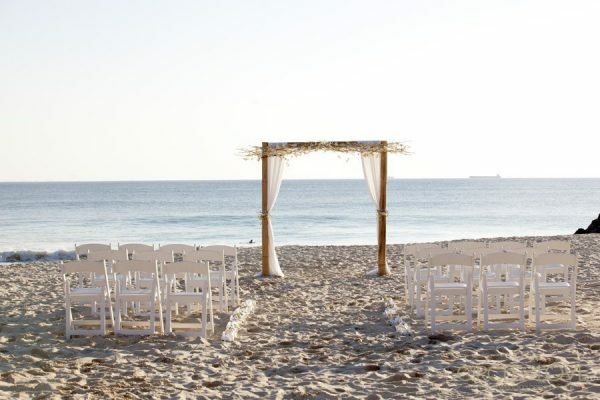 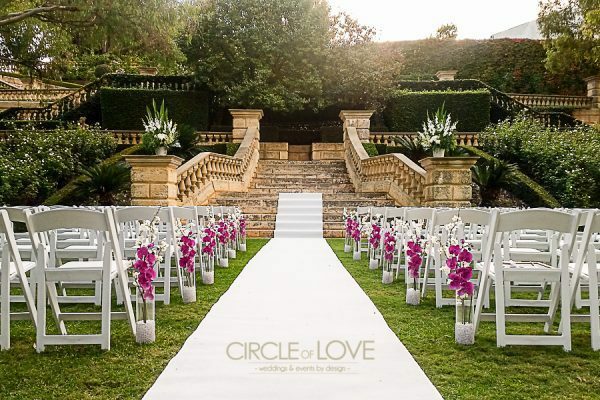 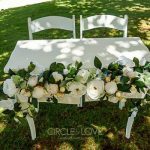 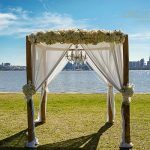 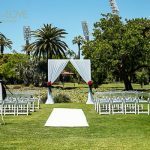 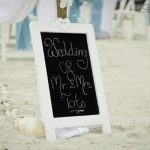 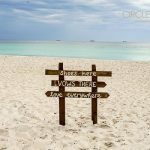 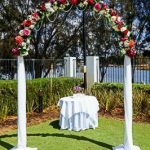 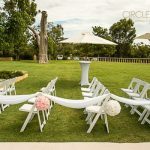 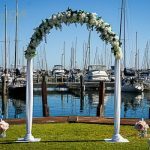 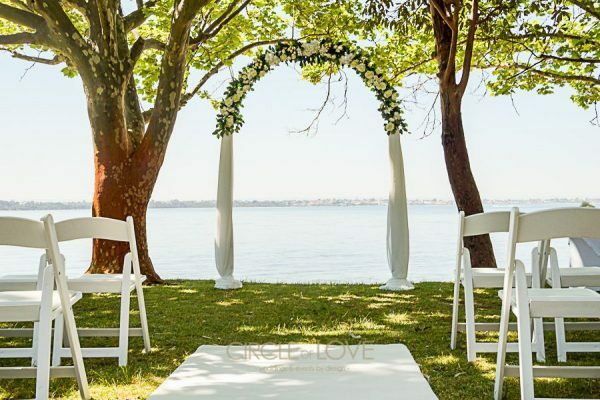 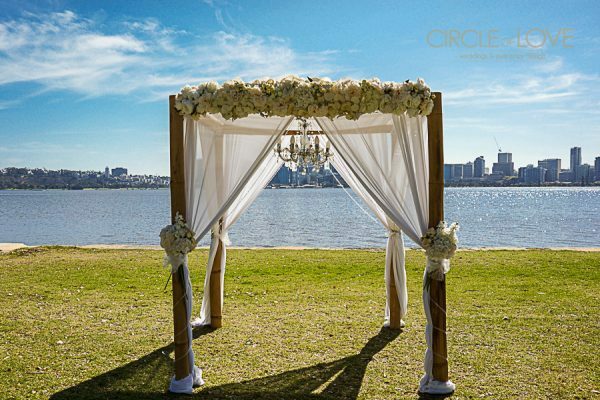 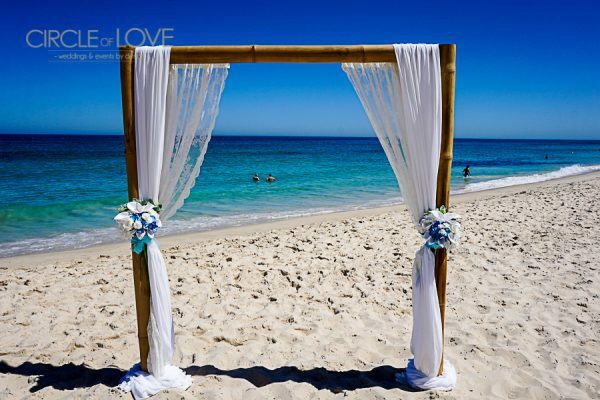 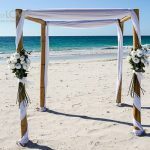 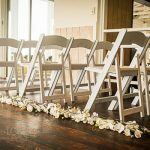 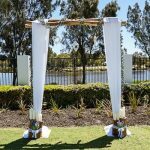 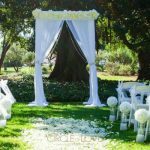 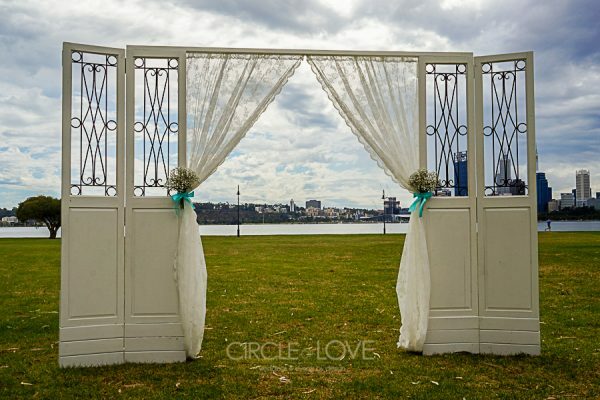 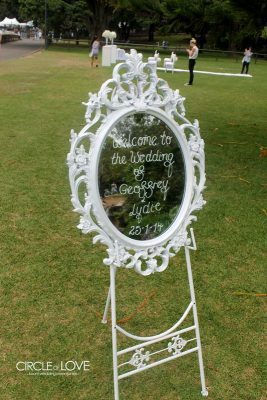 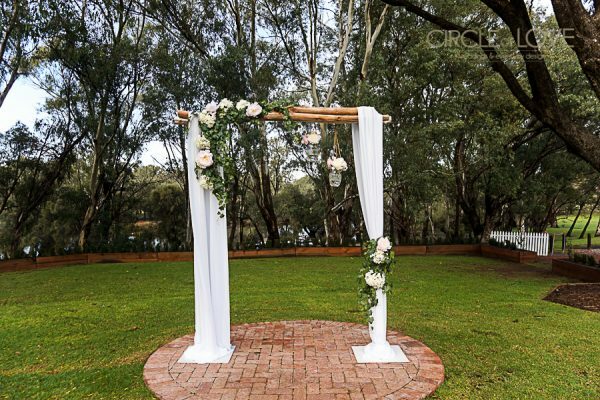 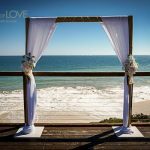 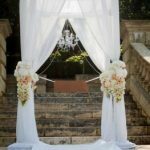 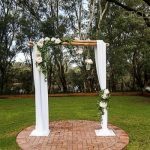 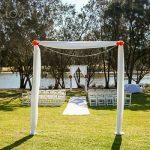 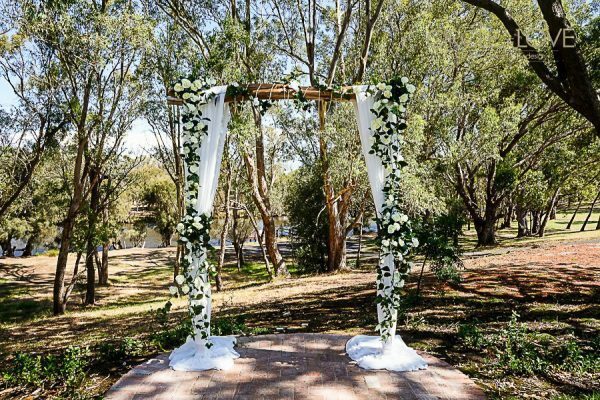 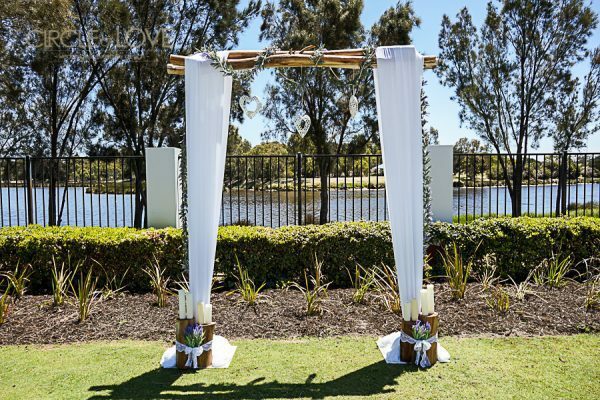 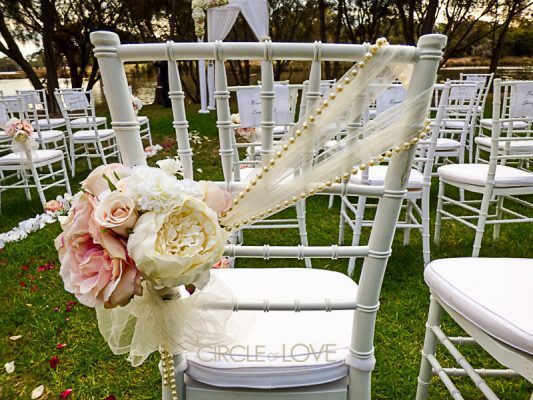 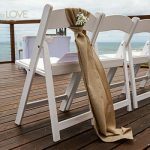 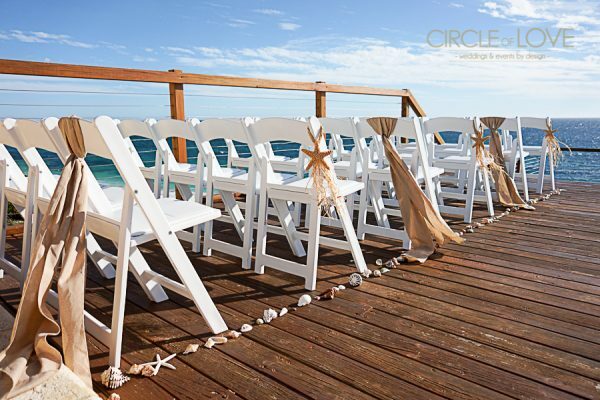 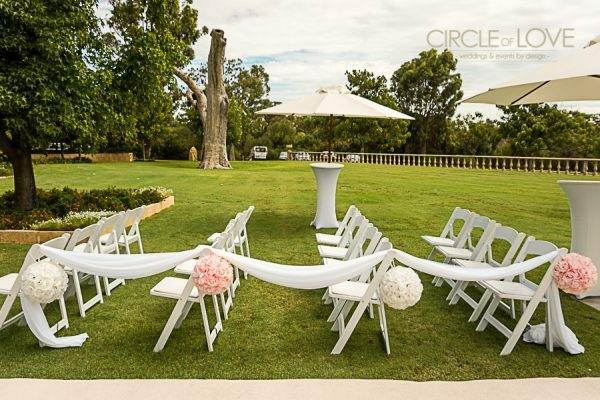 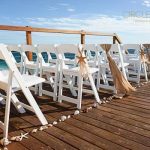 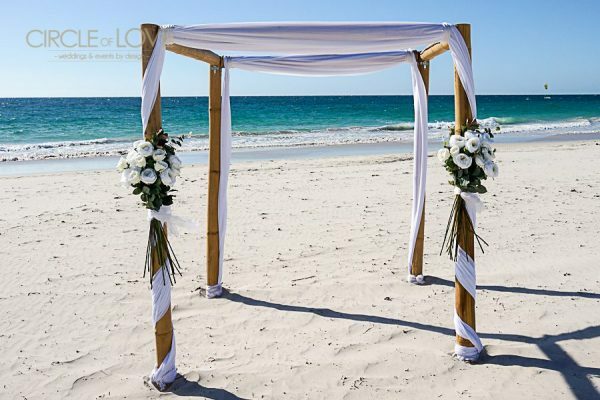 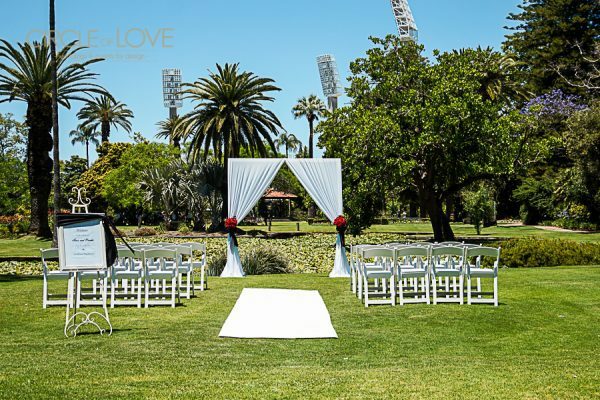 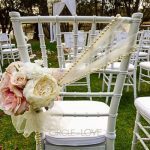 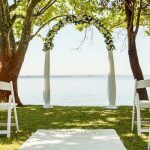 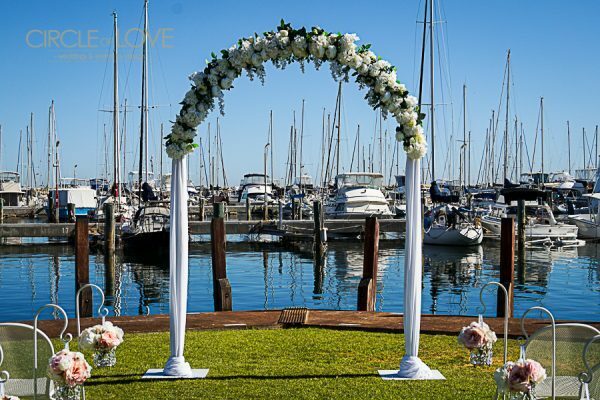 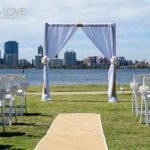 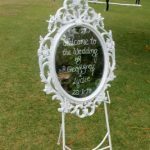 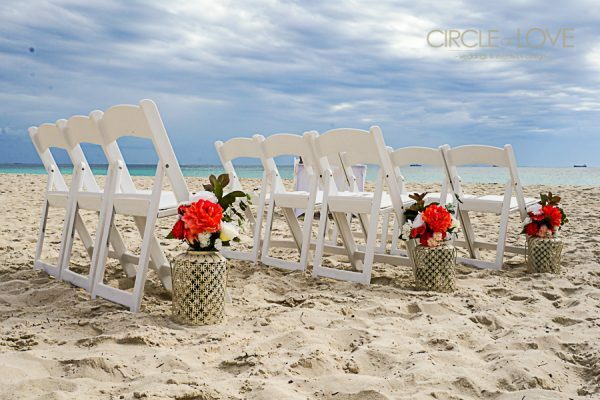 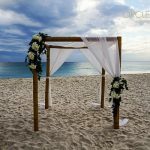 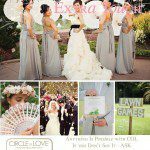 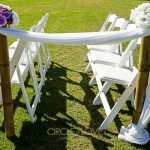 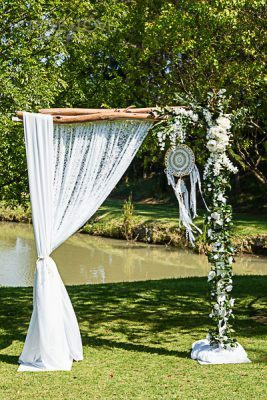 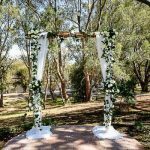 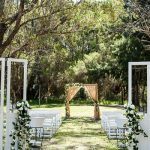 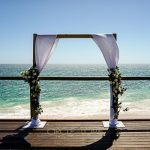 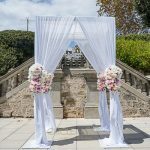 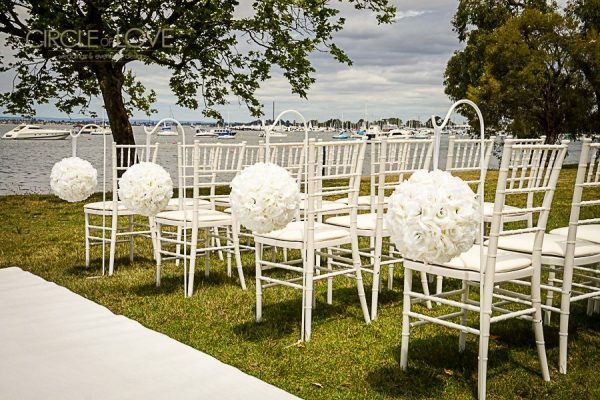 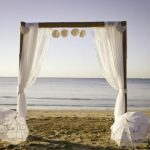 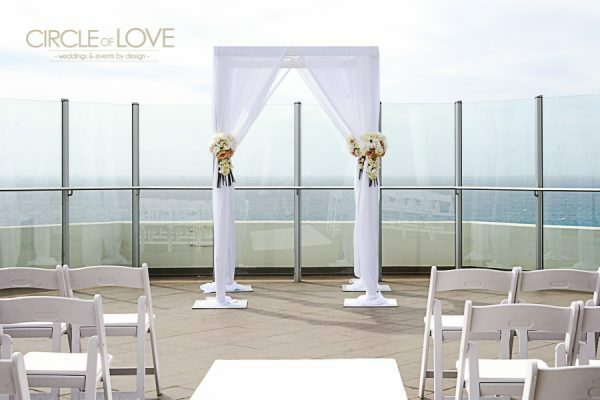 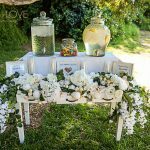 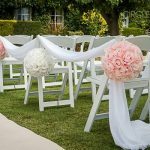 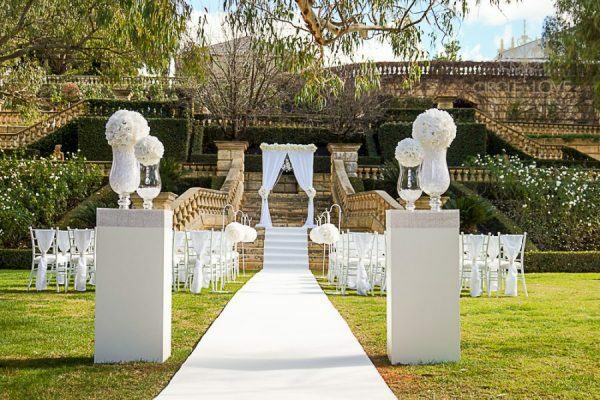 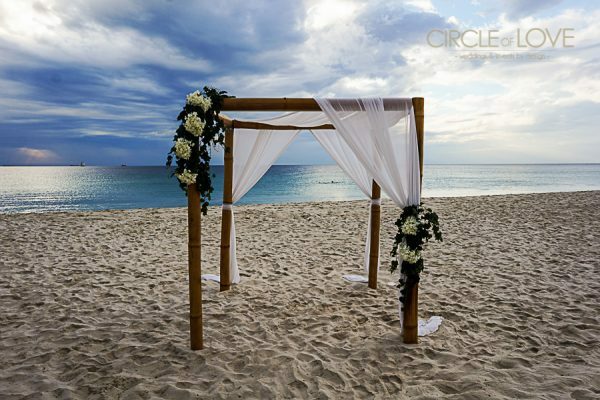 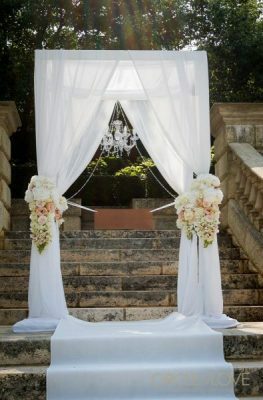 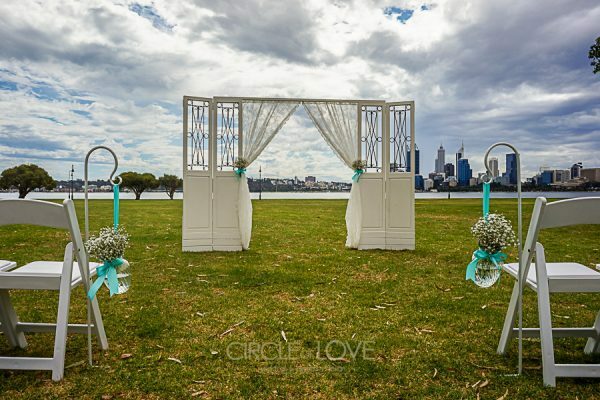 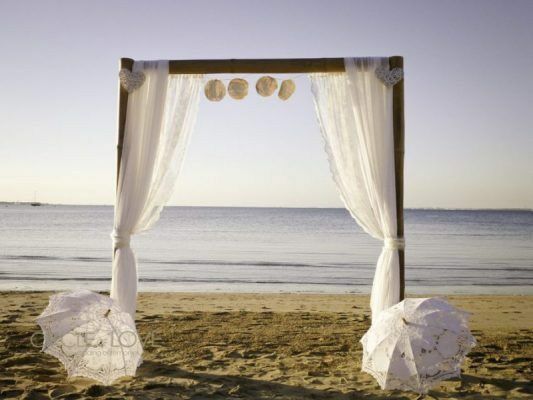 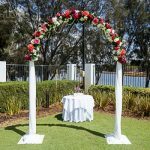 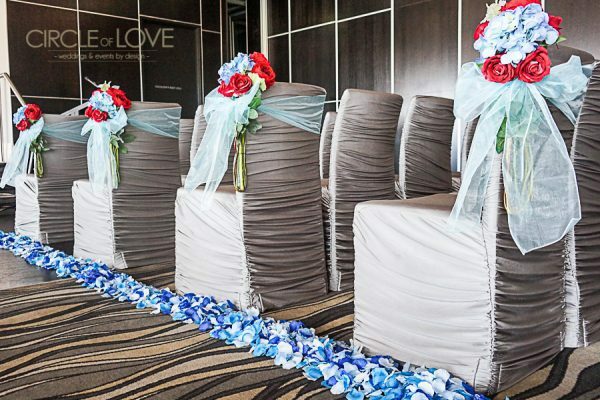 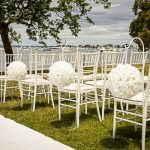 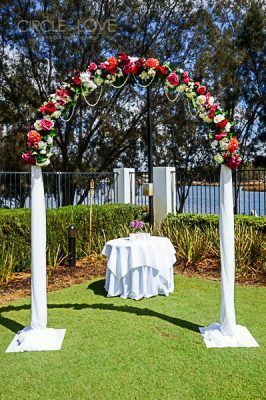 Our dedicated Perth wedding coordinator & stylist will help you style and design the wedding of your dreams, tailored to your unique style and personality. 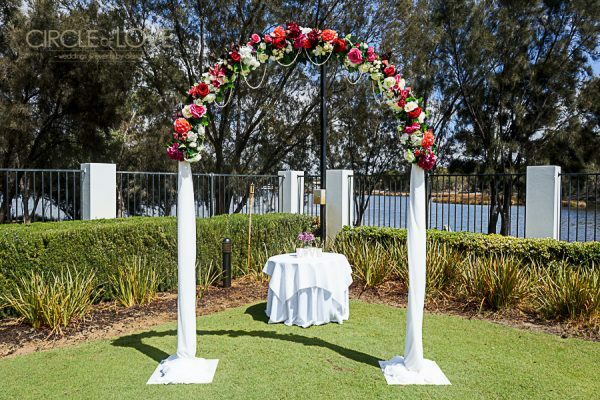 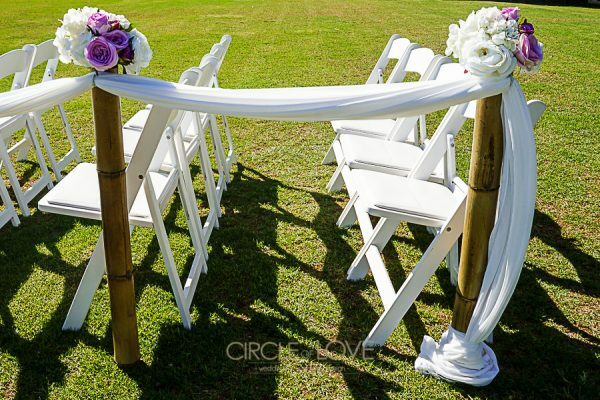 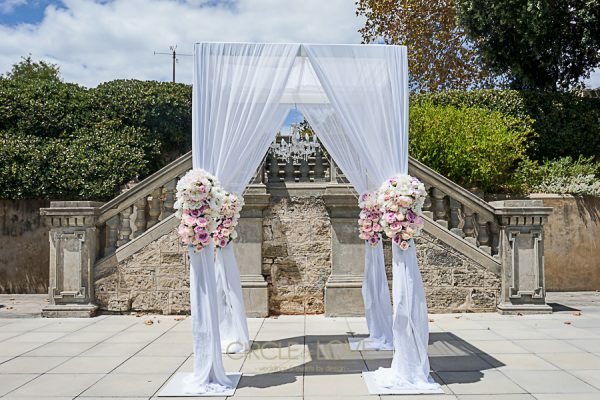 Small Flowers – included in arch styling and price. 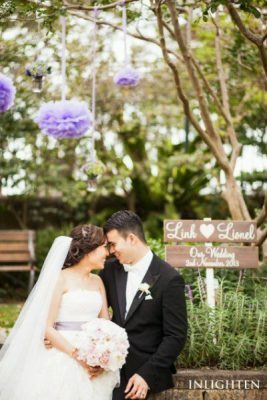 Floral train. 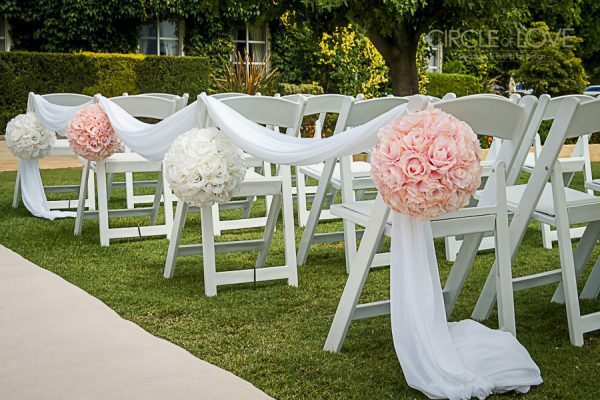 A small amount of flowers can be added.